Princessly Polished: My Nail Care Routine! Hello, everyone! I'm really glad to be getting this post done because of the increasing "how do you get your nails that long?" and "what do you use?" questions. So, I'm sharing my nail care routine. I've broken it down into what I do every morning, every manicure, every night, and every time I possibly can. Well, almost every time, anyway. I pop pills! I started taking these GNC supplements in either late 2011 or early 2012, I don't exactly remember. I was actually never a daily-vitamin girl before finding these. (In fact, I had tried 1-a-day multivitamins and I can't stomach them!) Even now if I forget a day I just skip it. 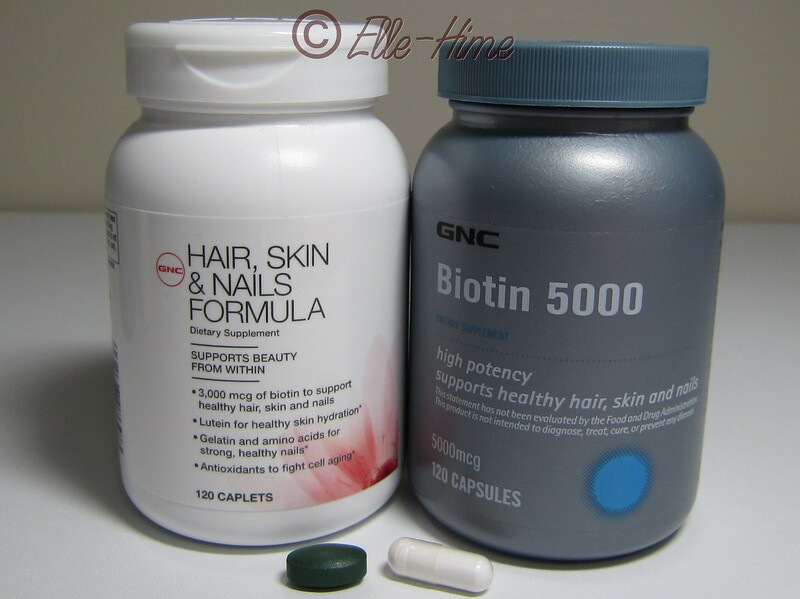 There are 120 pills in each bottle, and while the dosage for the Hair, Skin, & Nails formula is 2 caplets, I only take 1. This way I buy both bottles together and they run out together in 4 months. I buy them from Drugstore.com and stock up during sales. I estimate this ends up costing about $8.75 per month. If you're considering taking supplements to boost your nail health and growth keep in mind that it takes 6 months to see results, and everyone handles vitamins differently. Personally: these work for me! This is my favorite base coat! 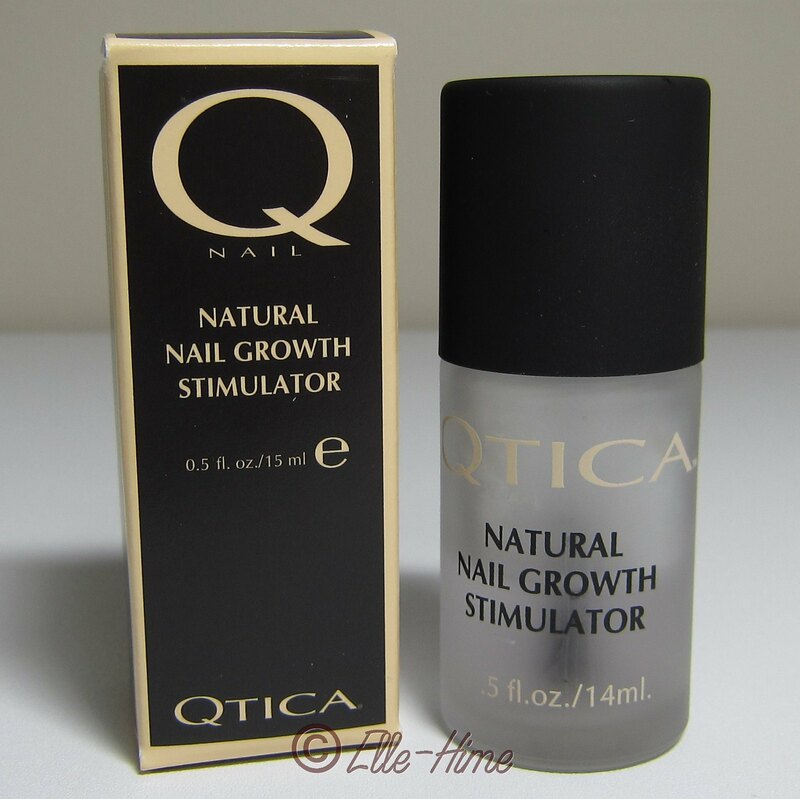 Qtica Natural Nail Growth Stimulator. I don't actually use it for every manicure (sometimes a girl needs her peel-off basecoat), but even if I have no color on my nails they will be protected by this. While I haven't seen phenomenal growth using this I also don't use it as often as instructed. I have seen stronger nails, no longer splitting and peeling like they were two summers ago. And it works with all my other polishes, which is important. This is on the pricey side of what I indulge my nails in, but I also believe in time being money saved. Once again it takes weeks to see results, and I wouldn't want to switch to using something else for 3 months just to find out that I have 3 months worth of so-so nail growth. So I stick with Qtica! I moisturize my cuticles and around my nails! This has been a huge help. 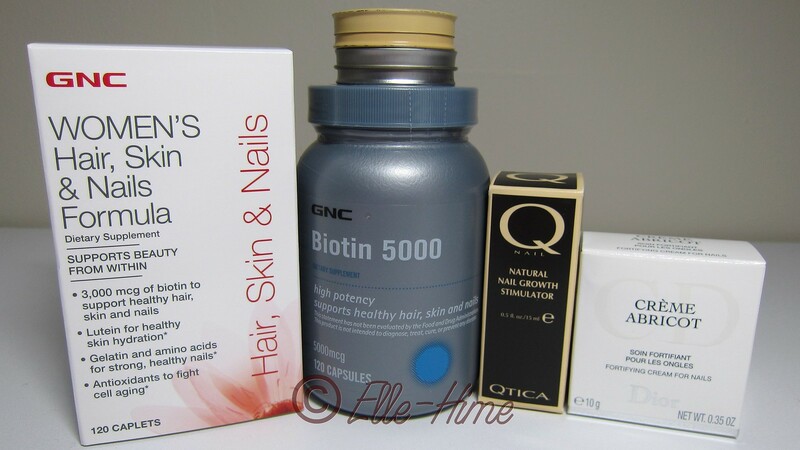 Healthy cuticles and nail beds are so vital to growing your nails long and strong. The most effective way to do it is overnight, and I even have soft gloves to wear while I sleep. 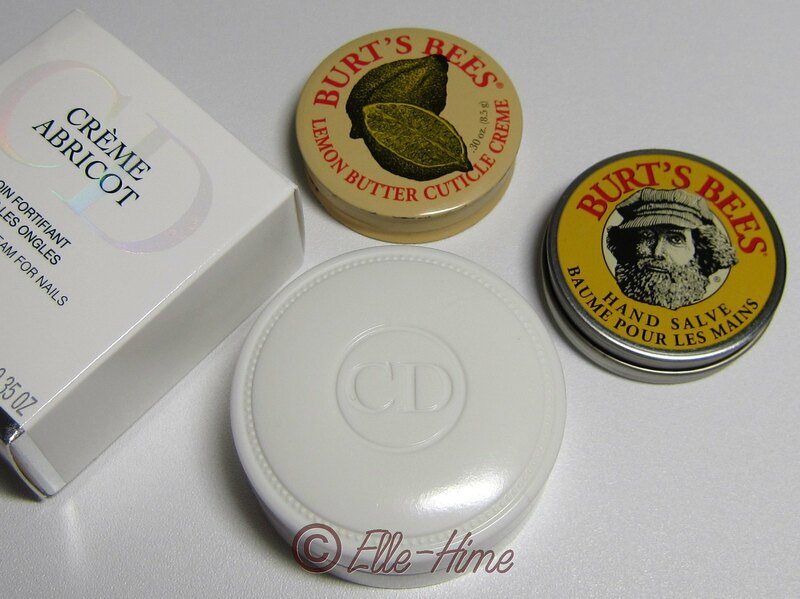 I started off using Burt's Bees Lemon Butter Cuticle Creme, which smells yummy and moisturizes without being greasy. I feel that Burt's Bees Hand Salve deserves a shout-out, too. While not specifically for nails it is great to wear overnight, as well. I especially notice it heals cuts! I'm a Burt's Bees product junkie, and must admit that I haven't had to buy full-sizes of these yet because I'm constantly picking up travel sample packs or earning them for free... I would gladly buy full-size if it weren't for all the minis I accumulate! Last month I treated myself to Dior's Crème Abricot, which I bought from Sephora. The reviews were way too good to not try it, and I knew it would be easy to return if it wasn't my thing. Well, it is so my thing! It deserves it's own separate review on my blog... All I'm going to say here is that I only use a little bit and it goes a long way. I've only been using it for about a month and have already noticed faster nail growth, and it keeps my cuticles in perfect condition. I thought the price was a little steep but realistically this is going to last me ages. If I manage to use it all in a year it will only cost $2 per month. Awesome! No picture for this one, but... Moisturize! I could barely stand lotion until I got used to actually using it. I'm still picky about my hands being greasy but now I can't stand to let myself "go dry". I keep lotion at work where I especially need it, and pay attention to moisturize around my nails. It definitely helps. And not to be forgotten - I drink water! And tea. Staying hydrated helps a lot more than just nail health. In fact, I need to go get more water right now! I hope you found my post helpful, any questions? Just ask! And let me know what you use or your tricks in the comments below, thanks! Thanks for sharing your nail care routine. I love Burt's Bees...omg the smell is amazing! This is great information, thank you for sharing! I love Burt's Bees, too! The products are natural but they always work! Thank you for sharing your routine! I will moisturize my cuticles every so often, but my nails start to split and peel if they grow any longer than short, so I definitely need to check some of these out. So, stick with it, they will get better! I'm going to have to try the Qtica. I have been using Sally Hansen and haven't noticed a difference. I really like CND Solar Oil for my cuticles.